Stunning Horse property w/ amazing views from every window. 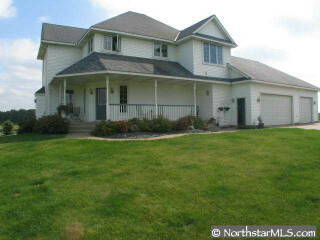 Hardwood floors, sun room, huge master suite, office, custom paint, Stainless Appls,large family room, & tons of storage. 3+ car heated garage, riding arena, 5 stall heated barn w/hay loft.